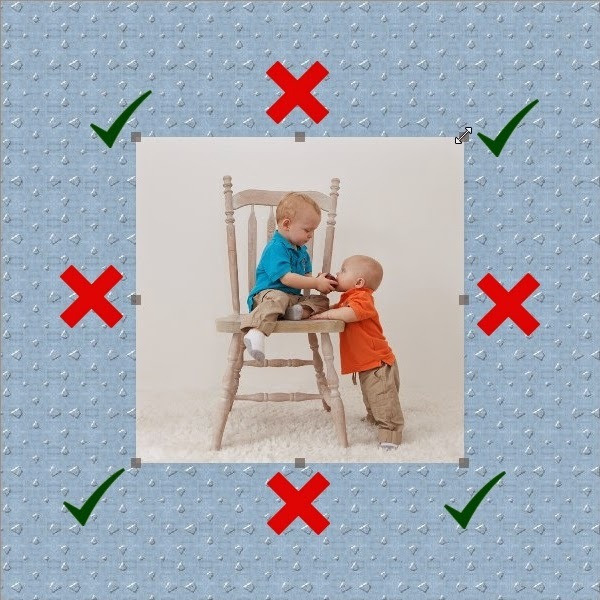 MyMemories Blog: Resizing photos & embellishments by LLL Creations! Resizing photos & embellishments by LLL Creations! One of the things I notice once in awhile when looking at peoples layouts is I find embellishments or photos that have been resized incorrectly. When you are using My Memories Suite and you need to resize one of these, there is a correct way and an incorrect way of doing it. 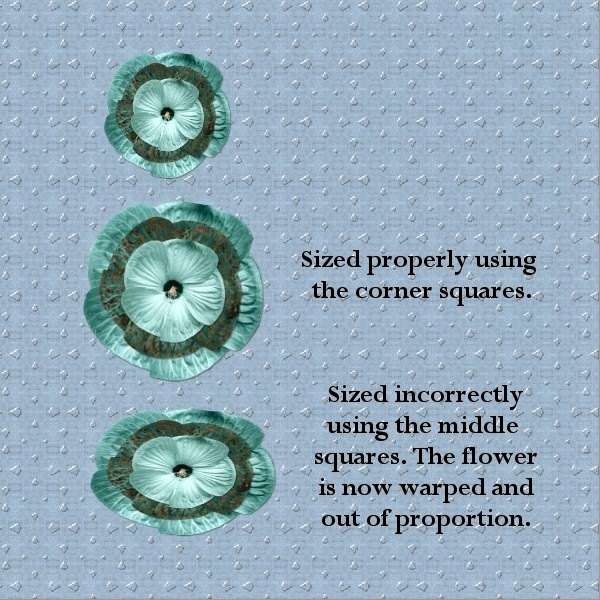 The incorrect way will warp the object or make it unsymmetrical and for most items they won't look right. You want to make sure you keep the aspect ratio of the object. When you have a photo or embellishment on your layout in My Memories Suite and you need to enlarge it (or make it smaller), you will notice when you select the item that you get squares on each corner and each side of it. These are the resizing squares. 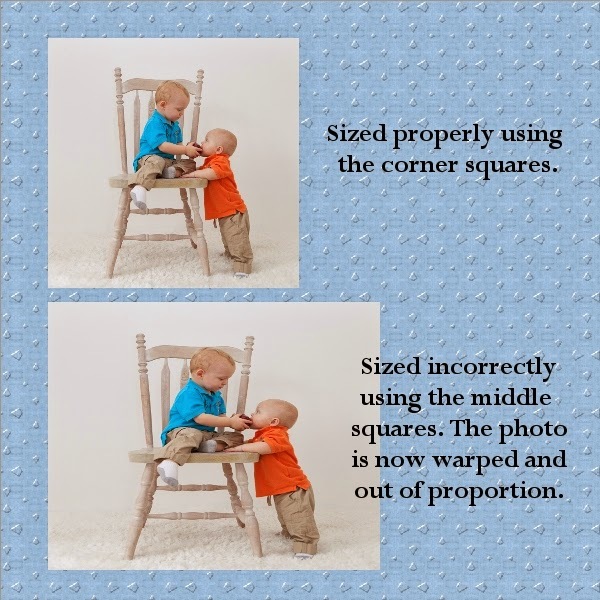 BUT, it is important that you only use the corner squares to resize the object. That will keep it from warping and keep it proportional. Now, having said that, there are SOME things you could get away with using the side squares to resize. (NOT photos). It could be plainer frames that you need wider but not taller. Some simple embellishments as well. Personally, I like to keep things in proportion, in other words, the way they were meant to be. If you liked this tip, feel free to comment or come over to my facebook page and tell me!